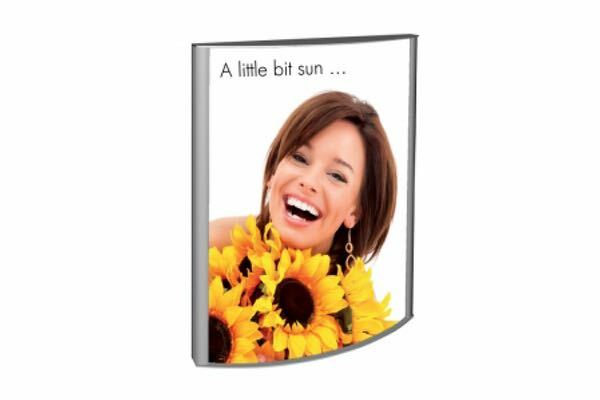 We supply a large range of lightbox signs to meet with anyones budget. If you require a lightbox sign please contact us at 01 4508057 or email info@signshopdublin.com. We will be more than happy to provide you with a lightbox sign solution that meets your requirements. Single-faced light box with 25mm aluminium Snap Frames on the two long sides of the light box which enable you to change the display material easily. 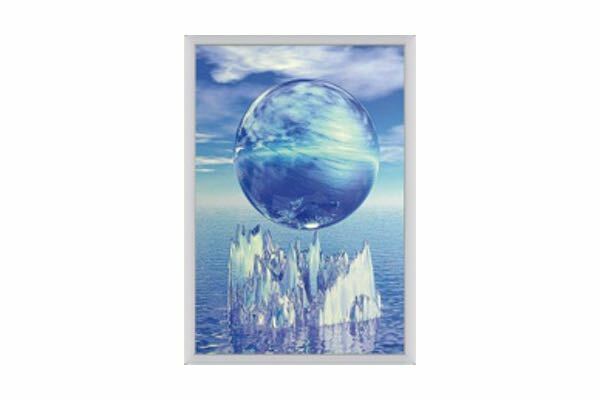 Supplied with anti-reflex APET cover, ideal for illuminated display material. The back plate is made of 3mm white opal acrylic. This light box is only suitable for indoor use. It is supplied with 2m electrical cable & plug. 230V. Price includes cost of full colour custom printed graphic. Luxurious slim light display with high quality LED technology, providing a superb lighting. The high quality guarantees 8-10years of life at approx. 12 hours daily consumption. Consumes approx. 80% less the energy of fluorescent tubes. Aluminium frame with 19mm profile. Supplied with transformer and hangers for mounting – can be used both in vertical and horizontal positions. The Totem light box is a freestanding double-sided display solution that is visually impressive in any retail space or showroom. With a 36mm anodized snap frame which enables you to change the display material easily whenever desired. Hinged door, magnetic cover close & plastic pegs on both sides add value to the unit. 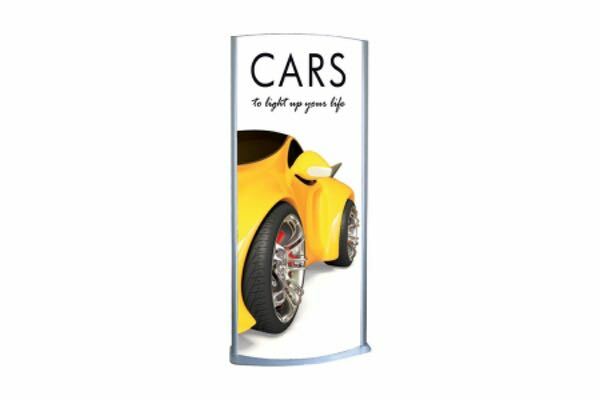 Supplied with anti-reflex APET cover which is ideal for illuminated display material. Each unit is packed unassembled with an easy instruction sheet. Comes along with 2m electrical cable and plug. For indoor use only. 230v. Unit cost includes 2 full colour printed panels.